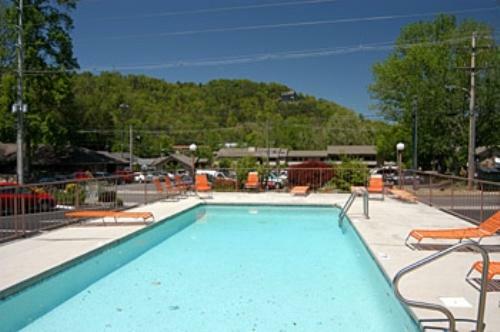 When you stay at Mountain House Inn you'll be in the middle of all the fun and excitement of Gatlinburg, Tennessee. The Great Smoky Mountains National Park, Ripley's Aquarium, and great shopping are all within one block. 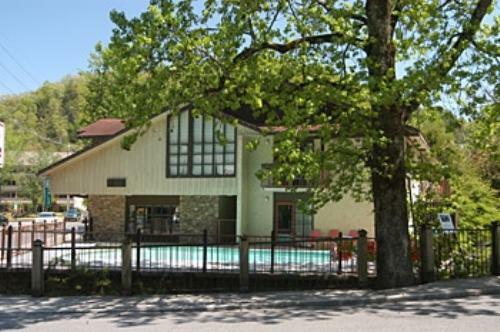 The Inn is located on the Gatlinburg trolley stop and offers free wireless Internet, two pools, and picnic area. Each room has a refrigerator, microwave, and coffeemaker. 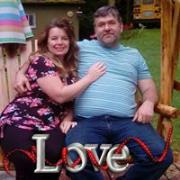 5-minute walk The Village Shops and Ripley's Aquarium of the Smokies. 2.7 miles from Great Smoky Mountains National Park headquarters. Located on a Trolley Stop. Two outdoor pools, one heated. 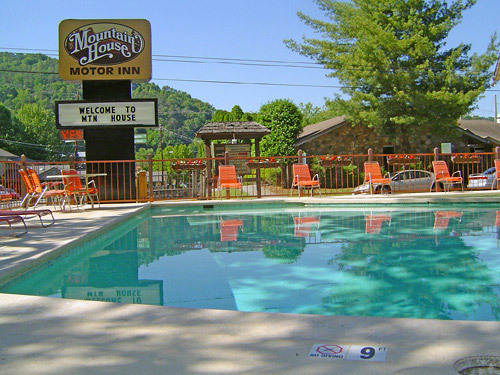 When you stay at Mountain House Inn you'll be in the middle of all the fun and excitement of famous Gatlinburg, Tennessee. Sightseeing in the Great Smoky Mountains National Park, shopping in hundreds of specialty stores, and exploring the sharks at the Ripley's Aquarium of the Smokies are all within one block. You can experience a quiet mountain setting and still be close to all the nearby attractions. We’re even located on the Gatlinburg trolley stop. Free in room high speed wireless internet. Two pools - one heated (seasonal) and two kiddy pools. There is also a refrigerator, microwave, and coffeemaker in every room. 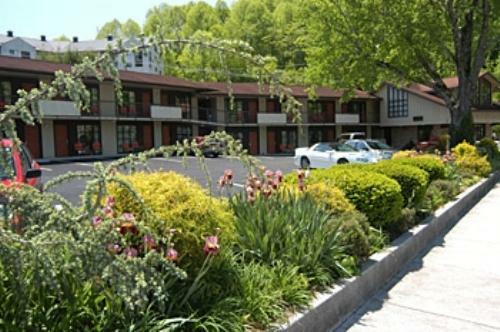 This is a great hotel due to it being within walking distance to downtown Gatlinburg. It was a great value. The room was okay. The tub had hair in the drain and the pillows were flat and not very comfortable. I would give this place a 3 star but giving it 4 because on our way back to the hotel, the key was deactivated. It was after midnight. The hotel had 3 keys taped to the lobby door. I don't know how safe that is but sure glad they had it. The staff was so pleasant. 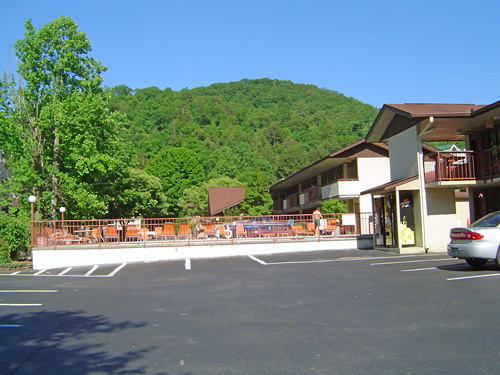 This motor inn is well kept, a 3 minute walk to downtown Gatlinburg, and very friendly. A great value! We will be staying here again. It was an ok stay. The beds are clean but the bathroom is tiny and toilets were hard to flush. 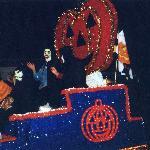 I enjoyed taking my family here, we wasn't far from the fun and ctivities. I enjoyed the scenory in the morning, no one bothered us either, they also have two pools which was nice as well. 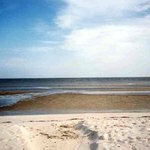 It was an okay place to stay for an inexpensive getaway with my small children. No complaints and lower rating is only because the hotel is a bit dated, but for the price it is a good value! Great hotel just off the main strip. Easy 5 minute walk to all downtown attractions. Friendly staff, great service and 2 pools! 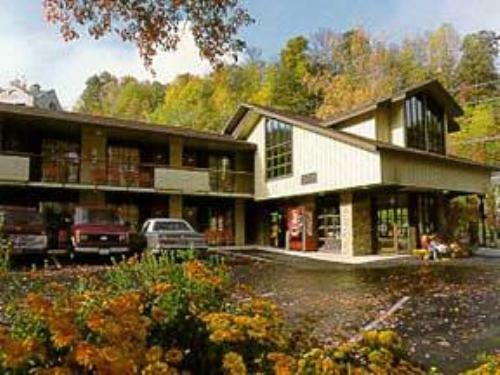 We will be back again to stay at this clean, convenient hotel in Gatlinburg. 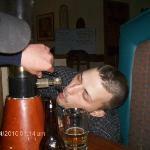 Sometimes I wonder what I will find when I book lower priced hotels but this was not a disappointment. The man at the desk was friendly and helpful. Keeping in mind this is an older building and could use some renovations it is clean and comfortable. The beds are comfortable, the linens are not high end but clean. The carpet looks newer so there is not that dead old cigarette smoke smell you find in some older motels. There is ample room for two beds and all the furniture. The WiFi is very reliable. Best of all is the location. It is a quick walk to the Main Street. Driving this street needs to be avoided as most of the day it is like a parking lot. "Cheap and old. Good location"
Not the Wyndham or high end stay, but due to the location to everything and the price would definitely stay here again! Older dated motel, but really clean and has mini kitchen. Normally stay at a nicer hotel but for a short weekend the price was very good! Can’t say anything bad about it! 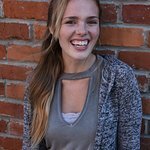 There is really nothing I can say that i haven't said before in past reviews. We stay here every time we come to Gatlinburg. Our adult daughter and her family stay here and our adult soon tried to stay here but it was booked, he still parked here because of its location to downtown and all the attractions. I had requested a room on the other end but there was a problem , hot water heater I think. This worked out well though. We could open the windows and hear the creek flowing. Will be calling again soon to book for next year. Planning on staying longer this time.